On my quest to search out fabulous fake diamond ring materials, I have stumbled upon more choices than I ever thought possible. There is so much out there beyond Cubic Zirconia land. Beyond the crystals, beyond the Rhinestones, past the sapphires and the topazes, we approach a vast abundance of fake diamond possibilities. I can safely say that if a gemstone is hard enough to be polished, faceted and mounted, somebody out there has made it into a ring. With so many of the colored gemstones available in clear or white versions, we have a smorgasbord of interesting choices. Another of those choices is a Spinel. Before I explain what it is, I want to mention that it has merit and value in its own right, not simply as a diamond substitute. A Spinel is a natural mineral gemstone that comes in a wide variety of colors. Except for certain shades of yellow and green, Spinels cover the hues of the rainbow. The most popular colors are red and blue for their use as sapphire and ruby imitations. Some of the lavender shades are lovely. These gemstones are mined in several different parts of the world, but the vast majority are mined in Thailand, Cambodia, Sri Lanka and Myanmar. Secondary regions include Vietnam, Africa, parts of the Middle East and even Canada. Is The Spinel Good For An Engagement Ring? Although this gemstone is making a comeback, it still has a rare and unique aura about it. Spinel is an out-of-the-box choice for the woman who reveres her individuality. With a Moh’s hardness of 8, it is a durable, scratch-resisitant gem that is very low maintenance. Pricing per carat weight differs with individual colors and cuts, but this website, Mdmayagems, gives you a great idea of the price points out there for loose stones. This might not be a reason, but it is something to consider; entertainment value. Your Spinel will bring curiosity seekers and give you the opportunity to spread the word around to friends and associates. You will be seen as avante garde, sophisticated and in-the-know about gems. Like every other gemstone known to man, many of today’s Spinel rings are actually created using lab-created stones. However, back in the day, the real thing was more plentiful. Not only do historic pieces have romantic charm, you can’t beat the intricate detailing of vintage settings and the delight of owning a genuine stone. This lovely ring showcases not only the hand-craftsmanship of the 14k gold setting and band, but gives the Spinel center stone a brilliant focus. Clear natural Spinels are quite rare these days unless you happen to find a beautiful vintage engagement ring like the one shown here. 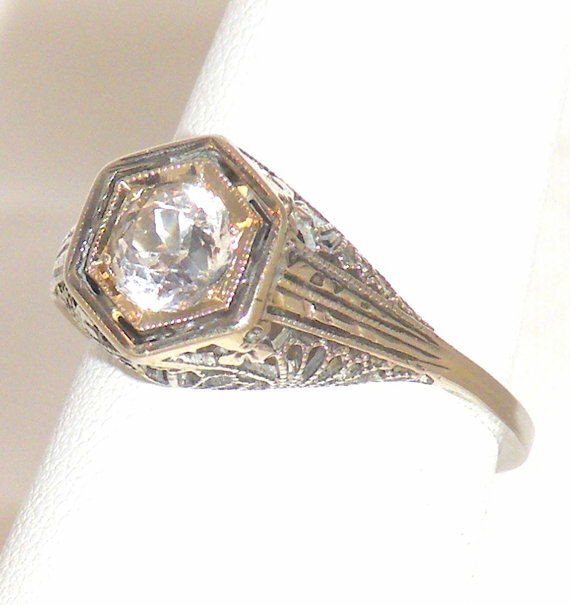 The jewelry sites that I have researched seem to have more pale gray versions for the modern rings than those that are available through vintage or antique stores. It seems clear Spinel was all the rage back then and you can see why when the stone is properly faceted for maximum sparkle. Red and blue Spinels look so much like rubies and sapphires, they were accidentally used on royal crown jewels in the days before gemstone testing existed. Where rubies and sapphires are, Spinels are too. Mother Nature made it this way. It makes sense that they were confused one for the other. According to legend, wearing Spinels are supposed to keep you calm and collected. 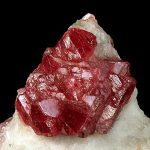 American gem lovers, according to this article on Jewelry T.V., Spinel has been found in New Jersey ( !) of all places. Isn’t this a fascinating lesson in faux diamond alternatives? There seems to be so many gorgeous options these days. For some, it can be maddening sifting through all of the stone choices. For others, it becomes a statement of freedom and release from tradition. Personally, I see it as yet one more gift of beauty offered by the earth for us to enjoy. 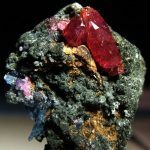 By the way, if you were as fascinated by the knowledge of Spinels in New Jersey as I was, you can actually participate in your own private dig adventure at Limecrest Quarry in Sparta, New Jersey. Don’t forget your boots!